OCTOBER 2007 | SDTEKKEN.COM - TEKKEN News Resource! 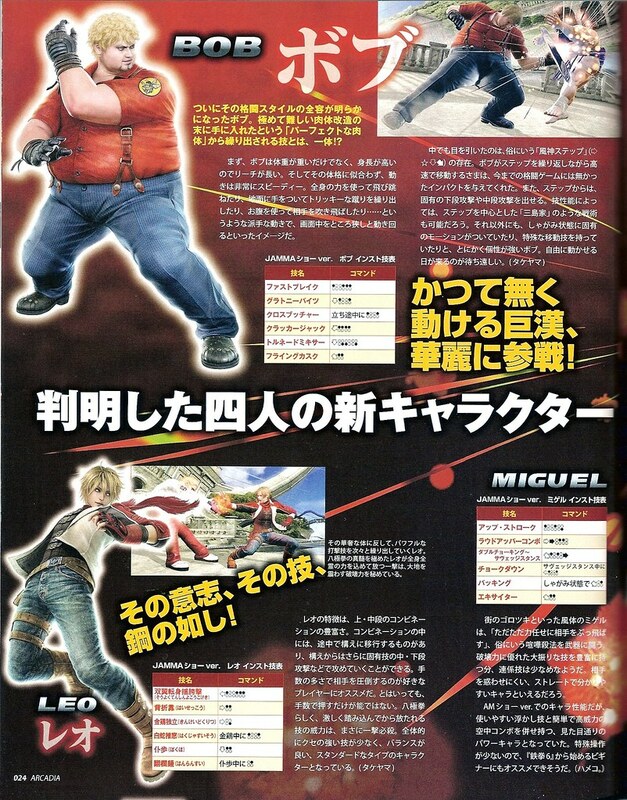 sunlightyellow has updated their Tekken 6 section with new character profiles found in the latest issue of GAME JAPAN! In this update we see the stories for Asuka Kazama, Feng Wei, Lei Wulong, Raven, Eddy Gordo, and Christie Monteiro! Asuka entered The King of the Iron Fist Tournament 5 in order to avenge her father who was injured by Feng Wei. She was unable to find Feng Wei and as the tournament ended she returned to her calm and normal life. However, her life didn’t stay peaceful for long as Asuka discovered that Jin Kazama was the man responsible for the terrible war going on all over the world. She enters The King of the Iron Fist Tournament 6 in order to capture Jin Kazama. Feng Wei was successful in retrieving the treasured God Fist scroll from the Mishima Zaibatsu during The King of the Iron Fist Tournament 5. 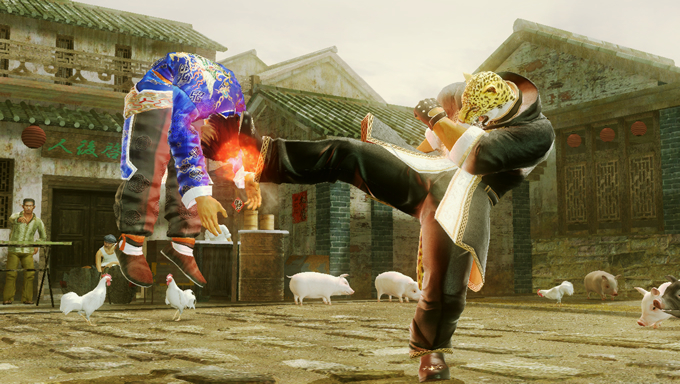 Dumbfounded, Feng Wei receives information about The King of the Iron Fist Tournament 6, and seeking more information, he once again looks towards Japan. In pursuit of Feng Wei for his criminal offenses, the military sends Lei to Japan. As the trail for Feng Wei is unsuccessful, Lei is helpless and returns to Hong Kong. With China in utter chaos and riots happening frequently, Lei grew impatient. Lei knew the true reason for the riots were cause of the Mishima Zaibatsu. In an attempt to arrest Jin Kazama, Lei enters The King of the Iron Fist Tournament 6. During The King of the Iron Fist Tournament 5, Raven encounters Heihachi Mishima, who was presumed to be dead… They began to fight. Before a victor could be decided, Raven received orders to return to headquarters and had to withdraw from battle. After that encounter the battle between both the Mishima Zaibatsu and G-Corporation intensified. In order to prevent any further losses, Raven is sent to investigate the Mishima Zaibatsu once again. At the conclusion of The King of the Iron Fist Tournament 5, Eddy spoke alone with Jin Kazama. Jin offered to lend him his money and resources to save his master’s life. If Eddy joined the Tekken force he promised to find a cure for Eddy’s masters’ illness. Eddy joins the Tekken force and is involved with a number of criminal operations just as The King of the Iron Fist Tournament 6 approaches. Christie entered The King of the Iron Fist Tournament 5 in hopes to save the life of her grandfather. She is defeated and returns home. Upon her arrival she finds out that not only her master is missing, but Eddy as well. Returning home to Brazil disappointed and baffled to the location of both Eddy and her grandfather, she learns from the hospital where her grandfather was staying that he was transferred to the Mishima Zaibatsu’s medical facility. In order to find the exact location of her grandfather, Christie enters The King of the Iron Fist Tournament 6. We have new forums, so sign up and check it out! Also, Namco Bandai Games Inc. announced that Tekken 6’s arcade released will be pushed back a few weeks to mid November. So expect new updates by then! NOTE: The new forums will replace the comments page on the Tekken 6 section of our site. We will close comments here on Thursday, Nov. 1st. 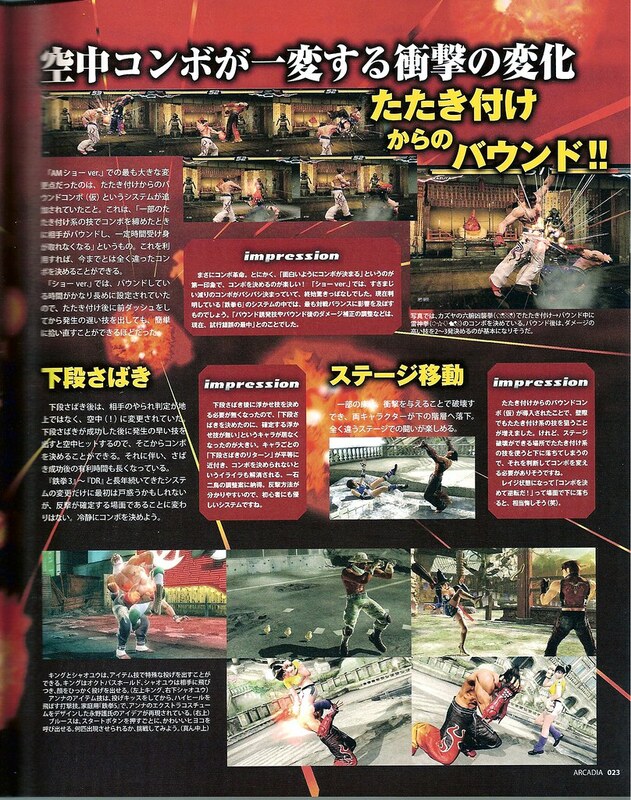 The latest Arcadia Magazine’s coverage of Tekken 6 includes impressions from some of the top Japanese Tekken players! 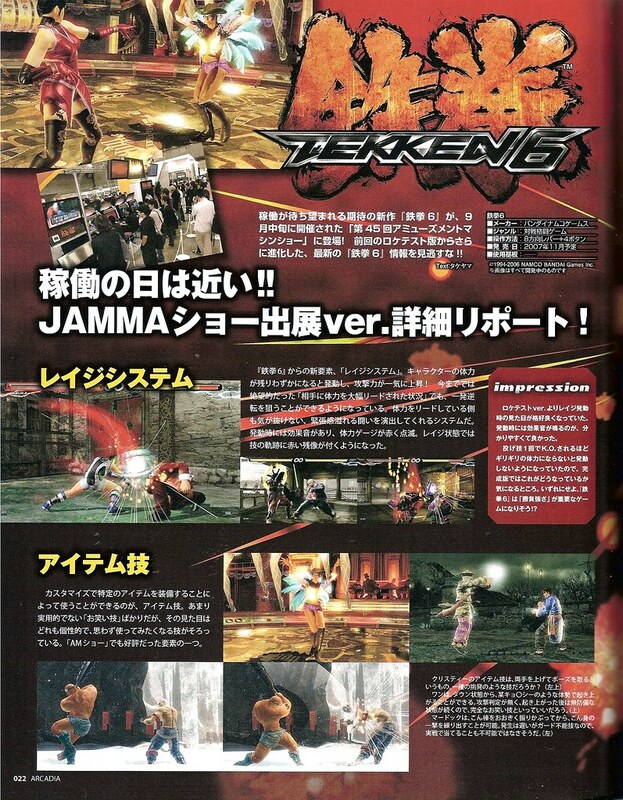 SD TEKKEN has taken the liberty to translate their thoughts and feelings towards T6 in a two part feature! Check out what they have to say about Tekken 6 by clicking below! SDTEKKEN.COM – Tekken 6 Player Impressions! Here are scans from the most recent Arcadia Magazine… We’re working on translating a lot of the stuff for an upcoming feature on the site! Dig Info News put a video together that features the “Octave Physics Engine” that is used in Tekken 6. Check out the video below! If you watch closely, you’ll see some new stuff with Jin! More news as it comes! Big thanks to Sunlight Yellow for putting up the Tekken 6 character profiles for EIGHT characters! The profile stories will be featured in the upcoming issue of Arcadia Magazine. Special thanks to kurichan for some translations! At the King of the Iron Fist Tournament 5, Nina Williams has finally settled the score by defeating her younger sister, Anna Williams. Shortly after her mission was complete, Jin Kazama recruited Nina to be his bodyguard and assist his Tekken Force in taking over the world. With strong tension between the Mishima Zaibatsu and G Corporation, the King of the Iron Fist Tournament 6 was announced. In order to remove any threats to the life of Jin Kazama, Nina enters the tournament. After the humiliating defeat from her older sister and enemy, Nina Williams… Anna sought revenge. She didn’t want it to end this way. Nina though, has already gone into hiding. Hearing rumors that Nina Williams has joined forces with the new Mishima Zaibatsu, Anna Williams decided to join forces with G Corporation. Jinrei Wang heard of the Mishima Family’s cursed blood from his close friend, Jinpachi Mishima. Jinrei was utterly defeated in the King of Iron Fist Tournament 5 by Jin Kazama whose purpose was to wipe out the Mishima Family’s cursed blood. However, the real chaos began when Jin Kazama assumed control of the Mishima Financial Group (MFG). Blaming his failure on his indifference, Jinrei lamented his lack of action. Once again, the King of Iron Fist is held, and with newfound purpose, Jinrei participates in the King of Iron Fist Tournament 6. 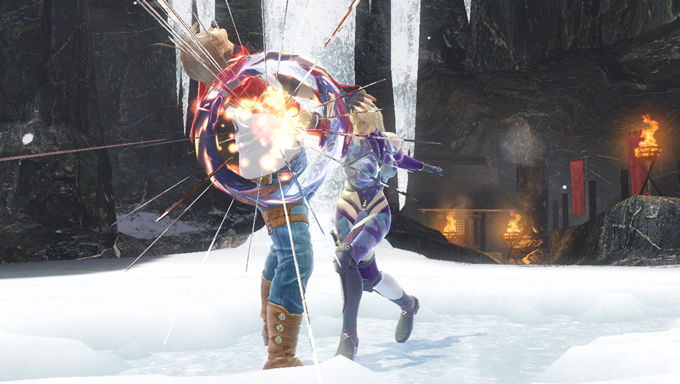 King’s friendship with Craig Marduk developed during the King of Iron Fist Tournament 5. At the end of the previous tournament, King caught wind of an attack upon Craig—he blew a gasket when he heard the assailant looked exactly like Armor King! King was determined to learn the true identity of Craig’s attacker. During that time, King heard the King of Iron Fist Tournament 6 would soon be held. He decided to enter the tournament with Craig. Craig Marduk fought a grueling battle with the wrestler King in the King of Iron Fist Tournament 5, victory and defeat eluded both fighters, and in defeat, they found friendship. While returning to the waiting room, Craig was attacked. Catching only a glimpse of the attackers back as he fled, Craig could have sworn he looked exactly like the man he was convicted of killing, Armor King. Determined to learn the assailant’s true identity, Craig set out with his sworn friend, King, to participate in the King of Iron Fist Tournament 6. During the King of Iron Fist Tournament, Armor King attacked Craig Marduk and than vanished. Who is this man hidden behind the black panther mask and steel disguised as Armor King? What’s his relationship to King and for what reason did he attack Craig? Still hidden in mystery, the gong for the King of Iron Fist Tournament 6 has already been rung. After the death of his former master Heihachi Mishima, Kuma believed no one but he could rescue the Mishima financial Group (MFG) from its captor, eager to do just that Kuma confronted the MFG. However, the MFG’s new CEO, Jin Kazama, was waiting. Kuma was easily beaten and discarded in the Hokkaido wilderness. Though defeated his fighting spirit was not lost. 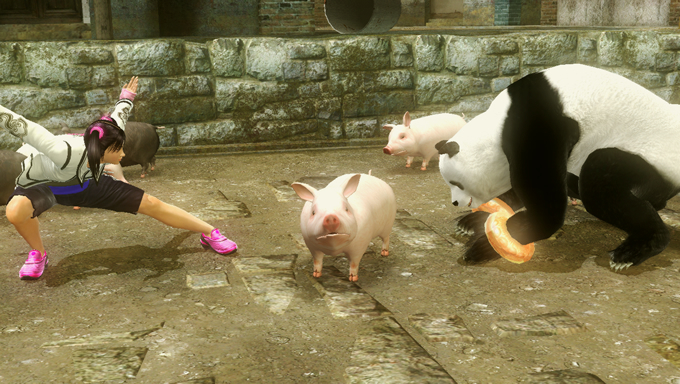 Panda took part in the King of Iron Fist Tournament 5 in the form of Xiaoyu’s bodyguard. Panda was relieved to learn Heihachi Mishima still lived, but only briefly—her moment of relief past by quickly without notice with the sudden announcement of the King of Iron Fist Tournament 6. Bound by duty, Panda finds herself once again propelled into harms way.